For the dedicated city-dwelling Capetonian, deciding to pack up and move to the southern suburbs denotes a certain … surrender. Leaving behind the dodgy dive bars, tragically hip eateries, artisanal purveyors; the touristy landmarks they’d become studiously blasé about. The vibe. Once you’ve made your peace with the move, however, the ’burbs have a certain way of winning you over with their own appeal. More space, less ridiculous rent. Leafy lanes and forest trails. Plus, a foodie community that’s just waiting to take you by surprise. 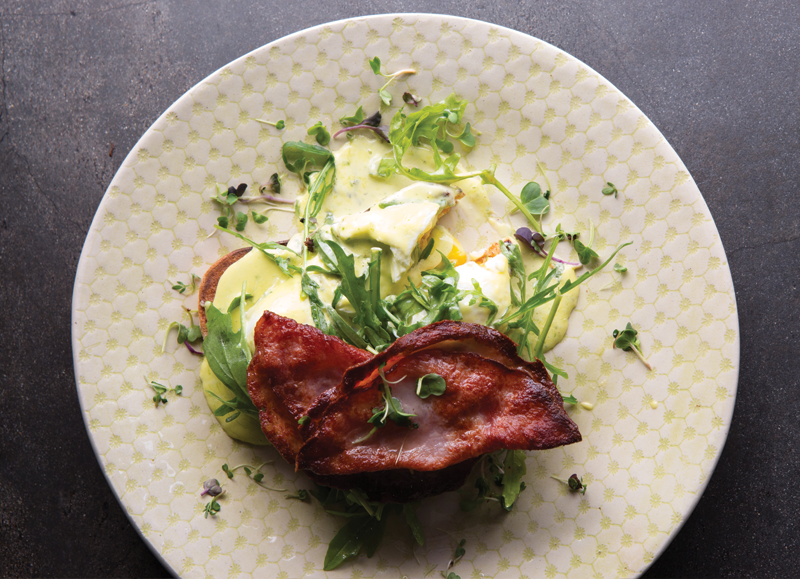 Here are just a few great restaurants in Cape Town southern suburbs to get you acquainted. You can almost feel your pulse slow down as you step out of the noise and frenzy of Belvedere Road and through the impressively robust hedge shrouding this neighbourhood favourite. The lush garden is a setting brunch-time dreams are made of, not to mention the stellar brekkie menu. Peri-peri chicken livers and poached egg on sourdough, or French toast with crème fraîche, berry compote and lemon curd for the hungry, for example. Lunchtime offerings are fresh and bountiful: open sarmies piled with tuna, fennel, capers and aïoli; rice bowls with tofu, avo, edamame beans, pickled onions and soya dressing; or good ol’ wraps, stuffed to capacity. From the vintage bicycle parked jauntily outside to the punters poring over their magazines and flat whites in the bay- window seats, it’s hard to stroll past this Chelsea Village spot and not go in. You wouldn’t be alone (just try bagging a seat on a Saturday). Chef-owner Tracy-Leigh Genricks keeps breakfastarians’ interests piqued with innovative fare such as green eggs and ham (mustardy sourdough toast topped with hickory bacon, poached eggs and pesto Hollandaise), the lunchers locked down with seasonal salads, and the tea-and-cake brigade rapt with the likes of choc brownies filled with peanut butter mousse, and lime- and-basil curd coconut cupcakes. Seated at one of the shade- dappled tables in the courtyard, fountain trickling soothingly in the background, it’s easy enough to indulge the fantasy of becoming one of those ladies who lunch and get to spend their afternoons leisurely segueing from quiche to carrot cake without having to hightail it back to the office. Oh, well. Husband-and-wife team Kerneels and Irma Brümmer are all about keeping the menu small, fresh and delicious. 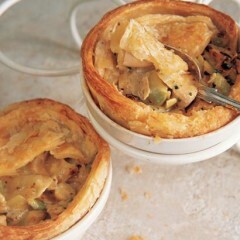 Lunch options include the likes of home-baked chicken pie, seasonal quiches and wraps, while the tea-time offering stars picture-pretty individual cakes and tarts (Irma’s speciality), including the Serious Chocolate Cake. 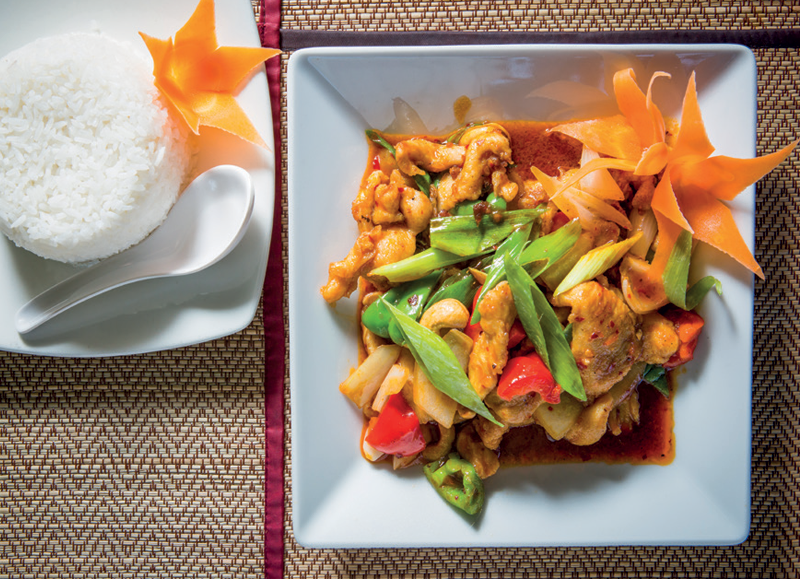 Refreshingly unpretentious and affordable, this Little Mowbray mainstay boasts a steady stream of regulars for good reason: authentic, flavourful Thai cuisine prepared by resident chef Withamol Namsong. You’ll never go wrong with either of the pad Thais – bowls of noodly comfort served with fresh sprouts and crushed peanuts – one of the beautifully balanced curries (try the massaman!) 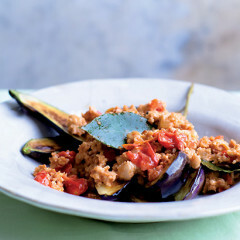 or the signature sweet-savoury-spicy cashew chicken. Bonus? They do takeaways! Come for the test match and cold brewskies on tap; stay for the awesome pub grub and vibe. 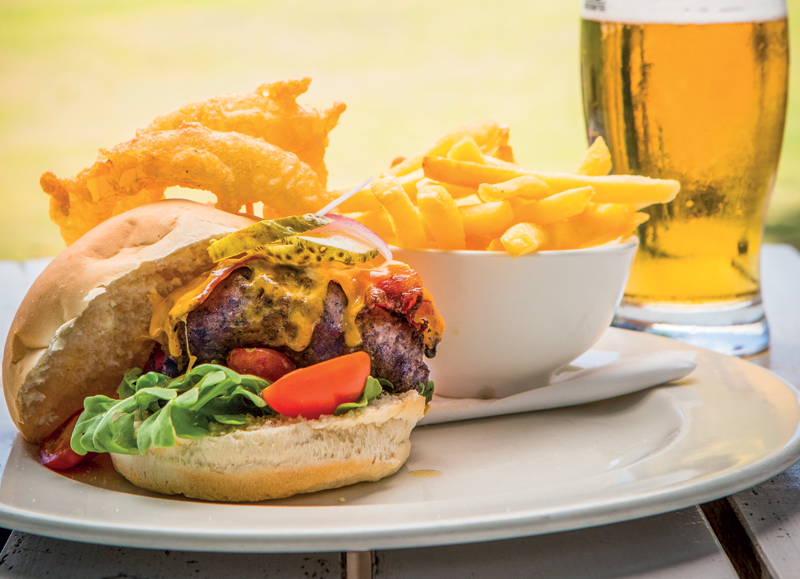 Overlooking the cricket pitches with Table Mountain looming in the background, the restaurant lives up to its family-friendly rep with a dedicated kiddies’ menu and plenty of space for the littlies outside. There’s a decent wine selection to keep the grown- ups sane and to pair with hearty hits like the Clubhouse burger with cheese, bacon, pickles and deep-fried onion rings; crispy salt-and-pepper calamari; or sticky pork ribs. An ice-cream parlour that’s open until 11 pm? Now you’re talking. 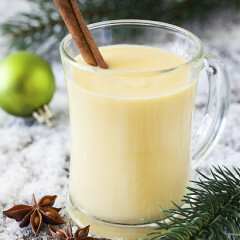 In addition to a number of regular flavours, including chocolate, peanut butter and salted caramel, each month sees a range of seasonally inspired ice creams chilling in the counter – from boysenberry to toasted coconut – all made from scratch using ingredients from local family farms, where possible. 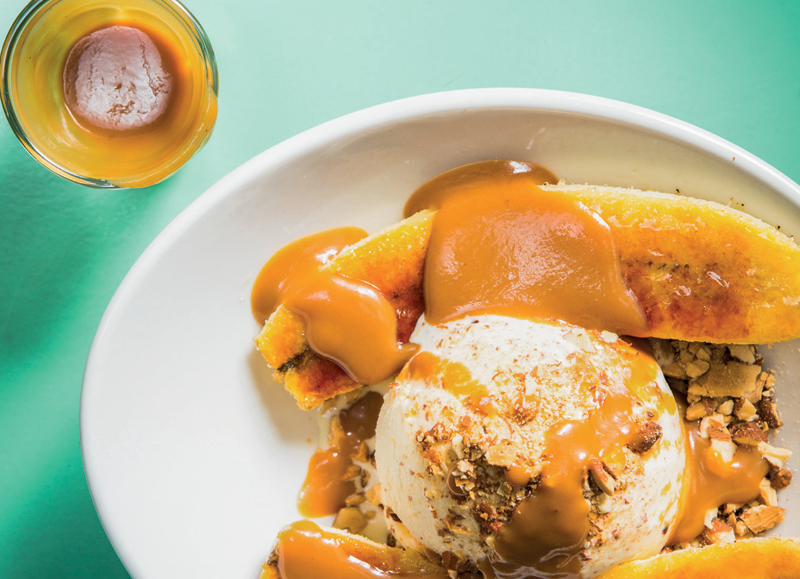 Go the classic route and have yours in a waffle cone, or wear your stretchy pants and order the waffle topped with two scoops, brûléed banana and caramel sauce. 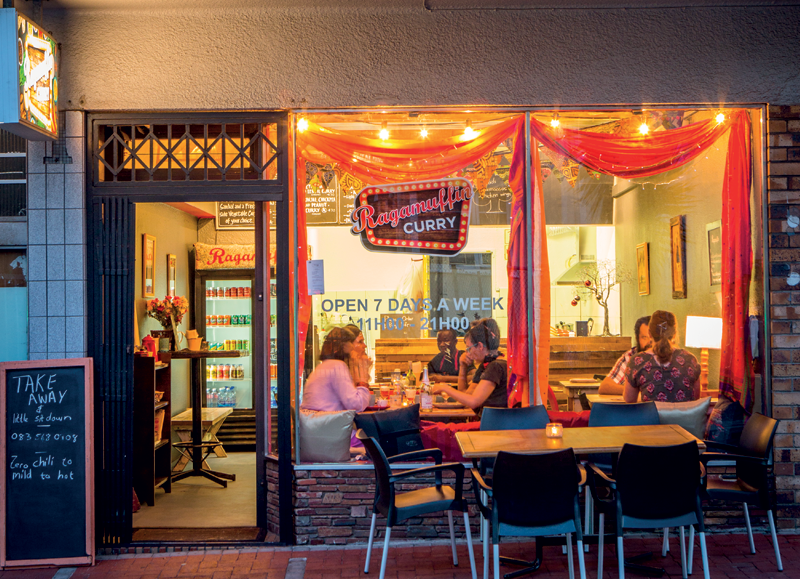 Owner Thinus Ras is a guy who’s serious about his curries, whether they’re Indian, Ethiopian or SA-inspired. After securing a steady fan base at Muizenberg’s Blue Bird Garage Food and Goods Market, he’s opened this small takeaway spot off Kenilworth’s main drag. 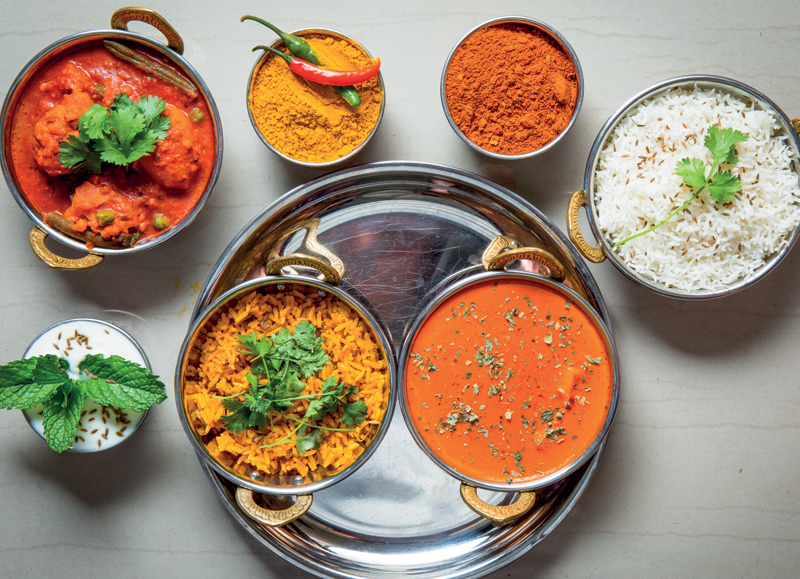 In addition to crowd- pleasers including a seriously delicious chicken tikka masala and fiery Durban mutton curry, there’s also a great selection of vegetarian and vegan options including a brinjal, chickpea and peanut curry and Ethiopian dhal. All curries come with a sambal and your choice of butternut-and-coconut curry or cabbage thoran as a side. Also, don’t miss Bunny Chow Tuesdays! The food of Maharajah in the City Bowl, and its sister restaurant Maharajah Vegetarian in Rondebosch, is the stuff of Cape Town legend, so there was a fair bit of excitement about the opening of this takeaway-only offshoot. Cherin Naidoo, daughter of Maharajah Vegetarian’s Theresa Peters, is at the helm of the tiny Express, which offers a greatest-hits compilation of Maharajah’s favourites. It’s virtually impossible not to fill up on the crisp, aromatic samoosas alone, but pace yourself for the gently fragrant lamb biryani and rich, supremely spiced korma. And the all-important buttery naan, obviously. Ask any southern suburbanite where you can find the best free-range, pasture-reared meat, dairy and eggs and they’ll point you in the direction of Deirdre and Sam Elliott’s neat little shop in Newlands Village. The who’s who of the Western Cape’s ethical producers and suppliers are represented: grass-fed, hormone- free beef from Son of a Butcher, free-range chicken and eggs from Lazena, acorn-fed pork from Happy Hog Butchery and Oak Valley… A nice villagey touch is that you can place your weekly order ahead and pick it up or have it delivered. 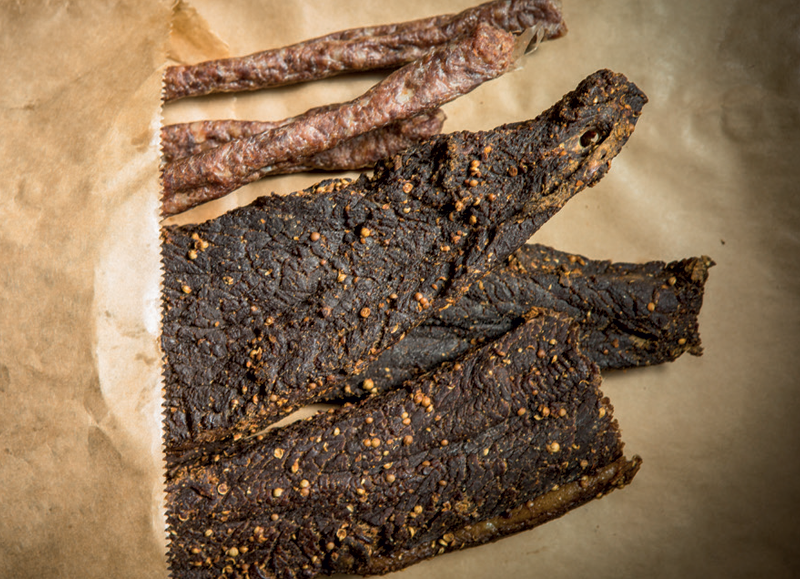 Oh, and if you’re going to be catching a live rugby game down the road any time soon, the beef biltong, cured in Beaufort West, is some of the best you’ll find in Cape Town. 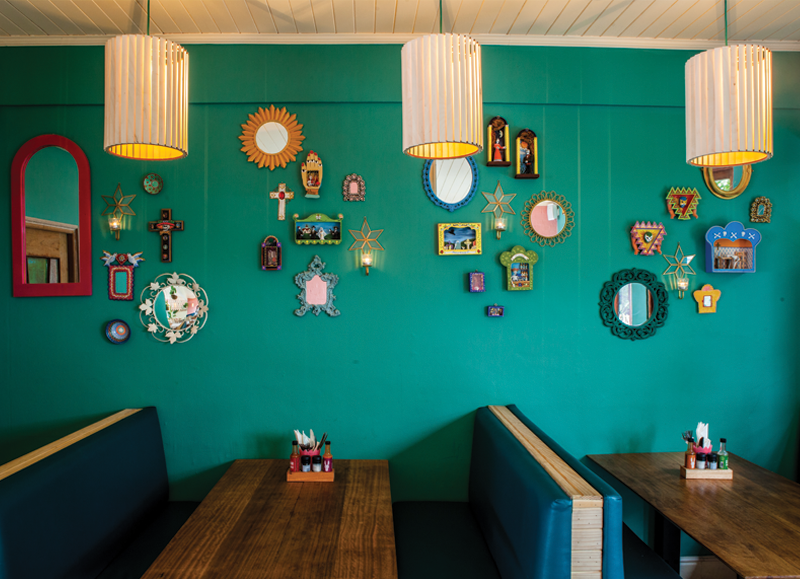 The hipper-than-hip Mexican restaurant group’s Newlands satellite is a magnet for southern suburbs’ young ‘n’ trendies. Order a glass of the zippy house margarita or tangy-tart grapefruit paloma with a bowl of tortilla chips and guac while you study the menu, which includes the legendary battered linefish tacos (on corn or flour tortillas) served with tomato and-onion salsa, guacamole, sour cream and pickled red onions, and the signature cocoa-ey chicken mole, which comes with green rice and refried beans. A Love Supreme. It offers a tidy little bolt hole where you can catch up with your bestie over a cuppa – or play a set of solitaire with one of the many decks of vintage playing cards around. For brekkie, good bets are the bacon benedict or the build-your-own-toast, with a flat white, artfully adorned by the resident baristas, mandatory to wash it all down. 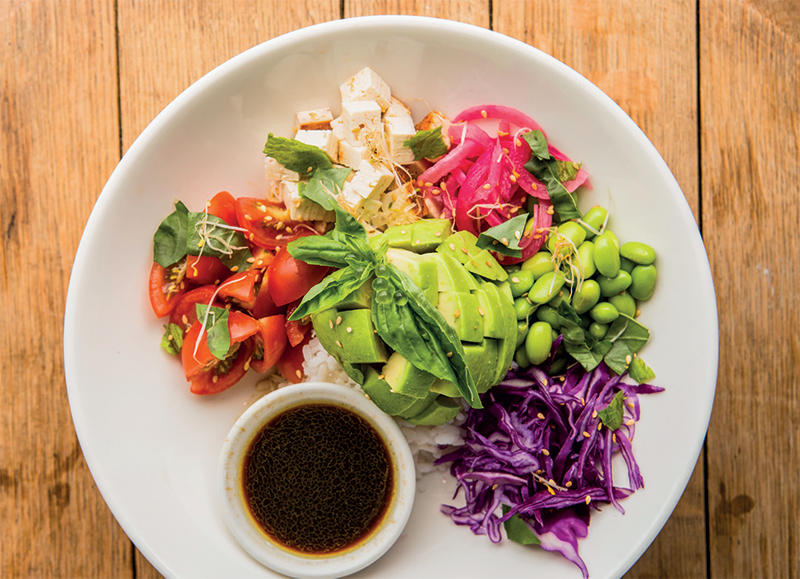 For lunchier fare, expect savoury tarts, sarmies and hearty salads such as the Locale, with red cabbage, feta, avo, chicken, butternut and cranberries. Haven’t phoned your mum in a while? 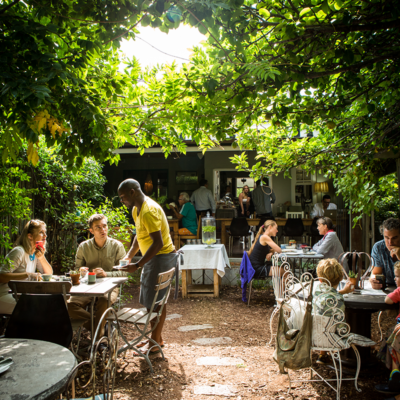 Make up for it by taking her to this quaint outpost in the Constantia Valley. Grab a couple of secateurs at the kiosk (which sells preserves and cherries in season) and amble over to the rose gardens to assemble some sweet- smelling bunches, then refuel at the delightfully old-school café. 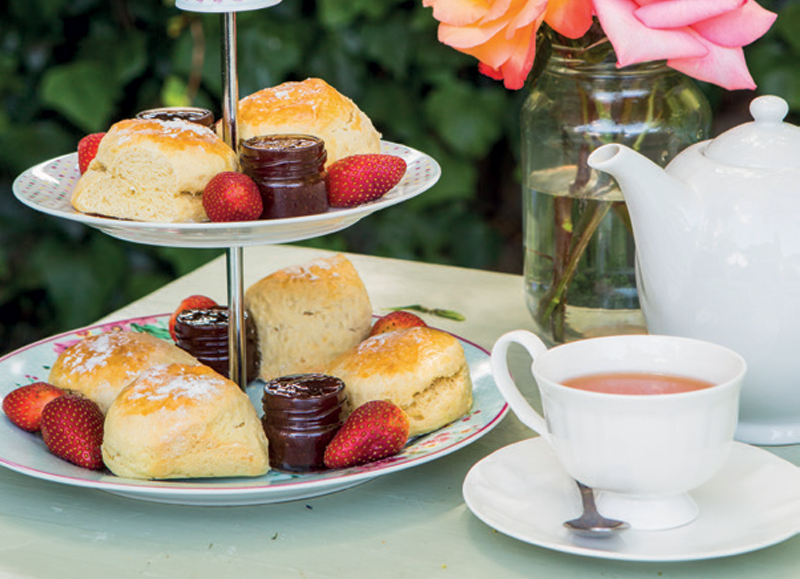 Go the high-tea route with a tiered server piled with scones, strawberry jam and cream, or a slice of home-made cake. Or throw it all the way back with a ham, cheese and tomato toastie and a coffee milkshake. … A Tavola for top-notch Italian. Library Square, Wilderness Road, Claremont, atavola.co.za. … Wine Concepts for boutique wines and craft spirits. Cardiff Castle, corner Kildare Rd and Main Street, Newlands, wineconcepts.co.za. 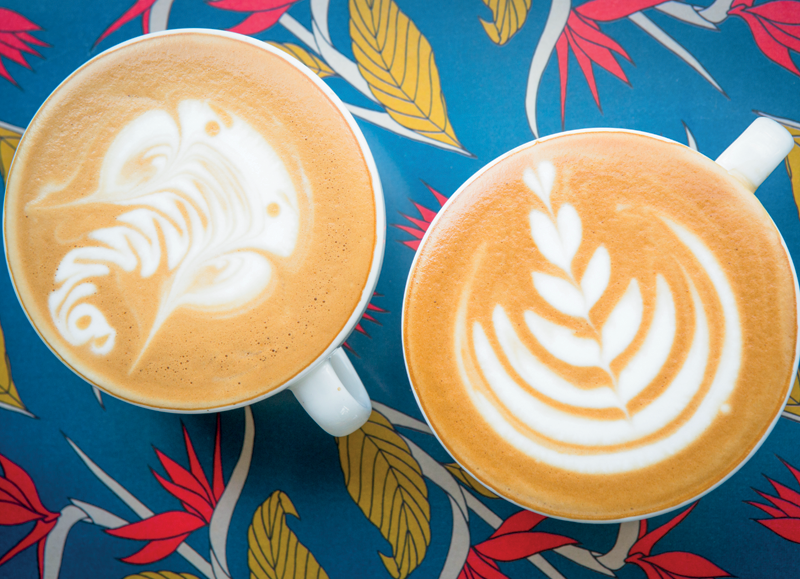 … Häzz Coffee Roastery & Espresso Bar for serious coffee snobs. Shop 7, Kildare Centre, corner Kildare Road and Main Street, Newlands, hazz.co.za. 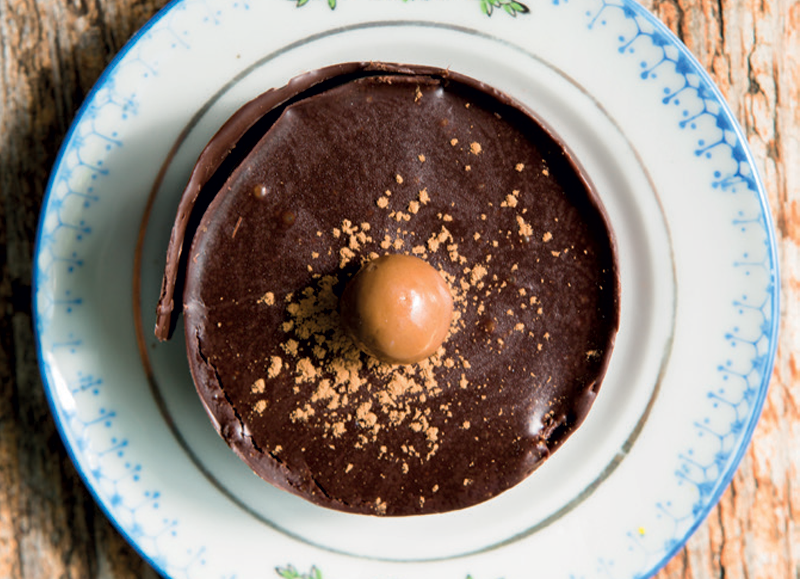 Browse more foodie travel articles here.